Breaking News on my Corn! I sprayed neem oil on the leaves but it is not working fully. Here is my good news. WELL both my corn plants are flowering!!!!!!!!!!! The flowers look just like an ear of corn! See? I can feel the corn cob forming . My Grandpa told me where it was. It is very exciting! The whiskers are already out! PS if you look to the left of the corn flower, you can see the curly-wurly hose that my Pediatrician brought for me from America (I wrote about it in this post). PS2 I’m not sure why all the photos are blurry. It was drizzling when I took them, so maybe that’s why? Update! 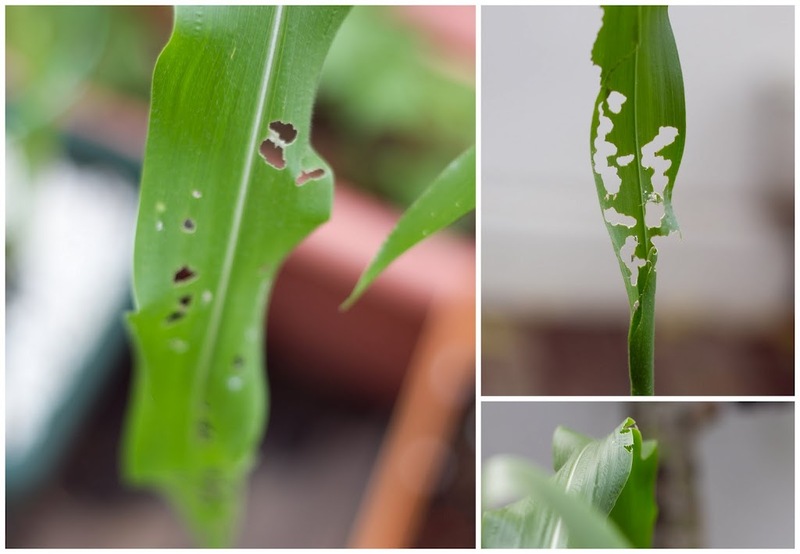 The holey corn photo is not blurry any more! phoodietravelogue sent me a better one she took, and even made it into a collage! She IS clever! 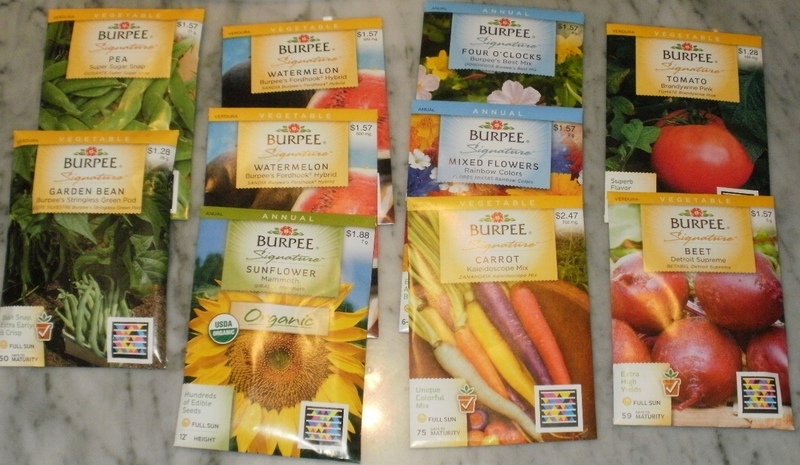 These are my seeds from Burpee in America. They arrived on Wednesday night from Orlando via New York! My Pediatrician bought them for me. I have watermelon, 12 foot mammoth sunflowers, beets (the seeds look really funny, like sand stuck together), garden beans, super sugar snap peas, pink tomatoes and 5 coloured carrots. There are also some American flower seeds, but I don’t think those are interesting. 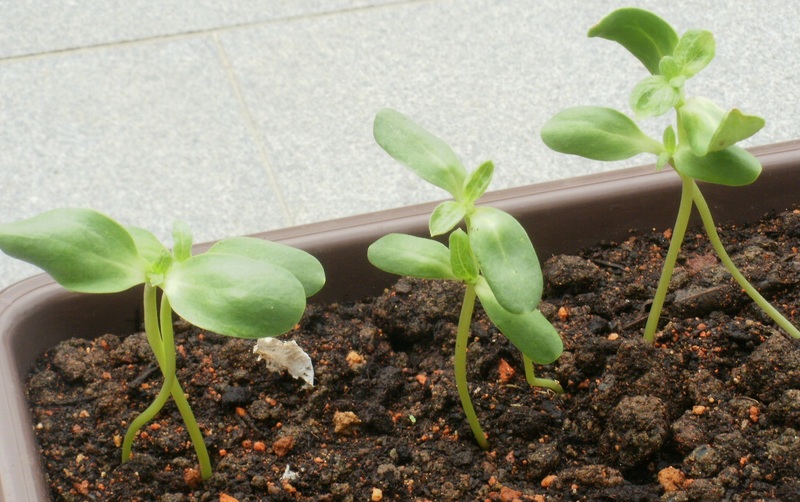 Our flower seeds never do anything. 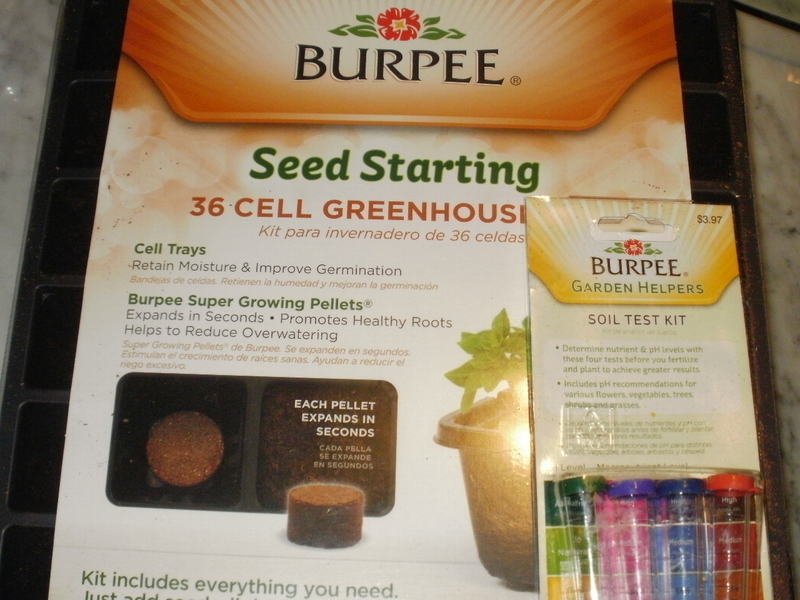 My Pediatrician also bought me a 36-cell greenhouse to grow the seeds in, and a soil ph test kit . She is a scientific sort of person, so she likes all sorts of tests (like blood and nose). She also carried 2 coiled hoses for me, they look like slinkies, very curly! I forgot to take a photo of the hoses, maybe I will take a photo when Grandpa mounts it on the garden wall this Saturday. 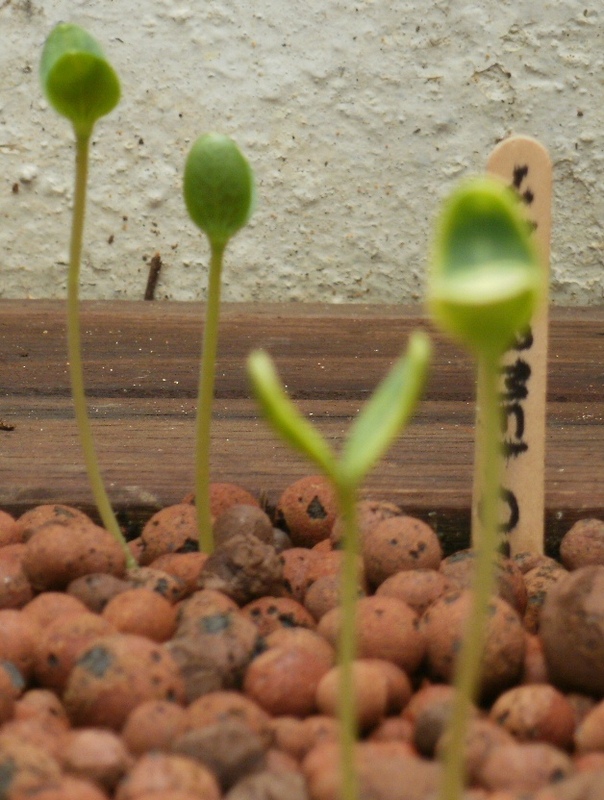 We germinated most of the seeds in the greenhouse, except the beans because we have many bean plants growing already, although no beans yet. 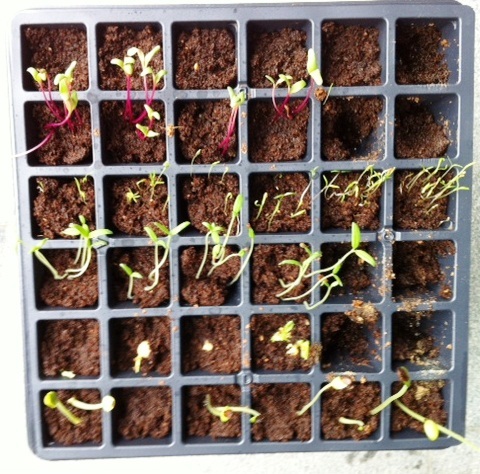 The seed packets promised the seeds would germinate within 7-10 or 7-14 days. I hope Burpee is telling the truth.